The current effort of so many religious leaders to harmonize Christianity with science, philosophy and every natural and reasonable thing is, I believe, the result of failure to understand Christianity and, judging from what I have heard and read, failure to understand science and philosophy as well. 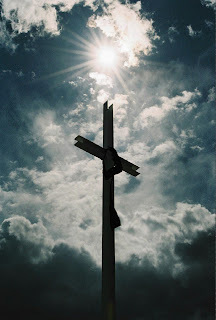 At the heart of the Christian system lies the cross of Christ with its divine paradox. The power of Christianity appears in its antipathy toward, never in its agreement with, the ways of fallen men. The truth of the cross is revealed in its contradictions. The witness of the church is most effective when she declares rather than explains, for the gospel is addressed not to reason but to faith. What can be proved requires no faith to accept. Faith rests upon the character of God, not upon the demonstrations of laboratory or logic. The cross stands in bold opposition to the natural man. Its philosophy runs contrary to the processes of the unregenerate mind, so that Paul could say bluntly that the preaching of the cross is to them that perish foolishness. To try to find a common ground between the message of the cross and man's fallen reason is to try the impossible, and if persisted in must result in an impaired reason, a meaningless cross and a powerless Christianity. The Christian believes that in Christ he has died, yet he is more alive than before and he fully expects to live forever. He walks on earth while seated in heaven and though born on earth he finds that after his conversion he is not at home here. Like the nighthawk, which in the air is the essence of grace and beauty but on the ground is awkward and ugly, so the Christian appears at his best in the heavenly places but does not fit well into the ways of the very society into which he was born. The Christian soon learns that if he would be victorious as a son of heaven among men on earth he must not follow the common pattern of mankind, but rather the contrary. That he may be safe he puts himself in jeopardy; he loses his life to save it and is in danger of losing it if he attempts to preserve it. He goes down to get up. If he refuses to go down he is already down, but when he starts down he is on his way up. He is strongest when he is weakest and weakest when he is strong. Though poor he has the power to make others rich, but when he becomes rich his ability to enrich others vanishes. He has most after he has given most away and has least when he possesses most. He may be and often is highest when he feels lowest and most sinless when he is most conscious of sin. He is wisest when he knows that he knows not and knows least when he has acquired the greatest amount of knowledge. He sometimes does most by doing nothing and goes furthest when standing still. In heaviness he manages to rejoice and keeps his heart glad even in sorrow. The paradoxical character of the Christian is revealed constantly. For instance, he believes that he is saved now, nevertheless he expects to be saved later and looks forward joyfully to future salvation. He fears God but is not afraid of Him. In God's presence he feels overwhelmed and undone, yet there is nowhere he would rather be than in that presence. He knows that he has been cleansed from his sin, yet he is painfully conscious that in his flesh dwells no good thing. He loves supremely One whom he has never seen, and though himself poor and lowly he talks familiarly with One who is King of all kings and Lord of all lords, and is aware of no incongruity in so doing. He feels that he is in his own right altogether less than nothing, yet he believes without question that he is the apple of God's eye and that for him the Eternal Son became flesh and died on the cross of shame. The Christian is a citizen of heaven and to that sacred citizenship he acknowledges first allegiance; yet he may love his earthly country with that intensity of devotion that caused John Knox to pray "O God, give me Scotland or I die." He cheerfully expects before long to enter that bright world above, but he is in no hurry to leave this world and is quite willing to await the summons of his Heavenly Father. And he is unable to understand why the critical unbeliever should condemn him for this; it all seems so natural and right in the circumstances that he sees nothing inconsistent about it. The cross-carrying Christian, furthermore, is both a confirmed pessimist and an optimist the like of which is to be found nowhere else on earth. When he looks at the cross he is a pessimist, for he knows that the same judgment that fell on the Lord of glory condemns in that one act all nature and all the world of men. He rejects every human hope out of Christ because he knows that man's noblest effort is only dust building on dust. Yet he is calmly, restfully optimistic. If the cross condemns the world the resurrection of Christ guarantees the ultimate triumph of good throughout the universe. Through Christ all will be well at last and the Christian waits the consummation. Incredible Christian!